ABUJA – THE Federal Government Wednesday explained the controversy surrounding the issue of subsidy payment, saying that technically no subsidy was being paid to the importers of petroleum products, but the Nigerian National Petroleum Corporation, NNPC, was taking care of the under recovery from the loss incurred in the importation. The under recovery which the NNPC pay to cover the loss was money that should have been shared among the three tiers of government. 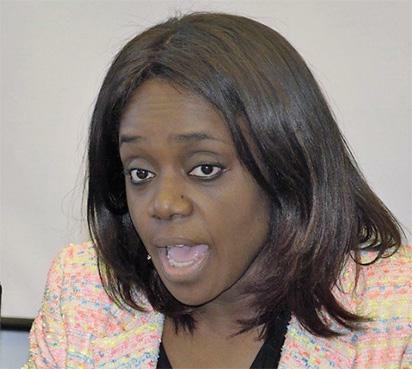 Minister of finance, Mrs. Kemi Adeosun who made the explanation while fielding question from State House correspondents, after the weekly Federal Executive Council, FEC, meeting, presided over by President Muhammadu Buhari at the Council Chamber, Presidential Villa, Abuja. Adeosun said that technically speaking, there was no longer subsidy paid to oil marketers, the NNPC was currently under recovering for the loss in the importation of refined products because it was the sole importers of the product and selling at less than the cost price, thereby losing huge amount of money to defray the extra cost of importation of the product. The post Technically today, there is no subsidy but… – Adeosun appeared first on Vanguard News.